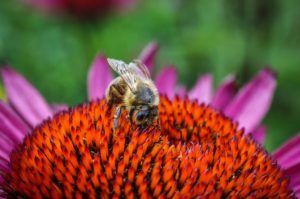 Honey Bees: Conservation Icon or Environmental Problem? Bzzzzztt! Oh, sorry. That was just the sound of another honey bee dying. Seriously though, honey bee populations are crashing all over the world – we’ve lost nearly 60% of honey bee colonies since the 1970s. But there’s good news! Honey bees might be on the verge of making a comeback. Numerous conservation agencies and local businesses are making hard attempts to increase the number of honey bee colonies in all sorts of places – Barack Obama even launched a special task force in 2014! So, with all these good bee-vibes, why did one prominent bee researcher write a perspective article in Science poo-pooing the spread of honey bees as conservation icon? Let’s break it down. Apis mellifera, the European honey bee and maybe your best friend? Get to the point. What’s the problem? Sure, right away. As mentioned above, honey bees are vanishing at an alarming rate. Much of this phenomenon is associated with something called Colony Collapse Disorder (CCD). One day, all the bees are happy and making honey, then the next the workers have suddenly vanished and abandoned their queen and hive. In a frustrating turn of events, nobody knows quite what is causing CCD. Many experts believe CCD is attributed to a variety of factors: increased use of pesticides, a virus-harboring parasite, poor nutrition, climate change, and even cell phones (OK, you caught me: that last one isn’t widely supported). At this point, about 40-50% of established hives don’t survive to the next year – a significant change from decades past. If this worrisome trend continues, honey bee populations could plummet with a cascade of consequences. Do honey bees really matter, though? I hardly eat honey. Great rhetorical question (and also, what’s wrong with you?)! 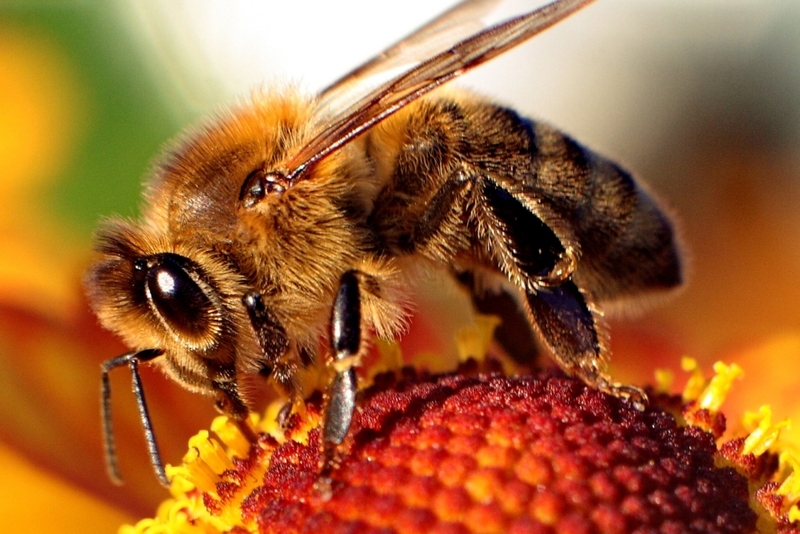 Honey bees are indispensable to our nation’s agriculture. While several staples of American agriculture such as wheat and corn are wind-pollinated, many others need help from other organisms to spread their pollen from one flower to the next. In fact, honey bees are essential for the pollination and production of a huge variety of crops such as apples, cantaloupes, almonds, and avocados. 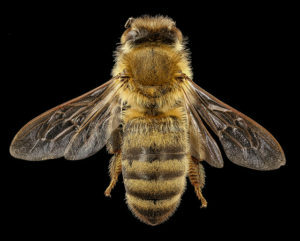 Honey bee-pollinated foods contribute more than 15 billion dollars to the US agricultural economy and their continued decline could increase consumer costs of these foods to ten times their current price. Honey bee products also make up their own economy. Honey produced by American beekeepers is a 300-million-dollar industry, while hive by-products such as beeswax, have niche markets as well (who here hasn’t heard of Burt’s Bees?). Ok, so what’s up with this anti-honeybee article? Is the guy just a jerk? Dr. Jonas Geldmann is actually a renowned conservation researcher at the University of Cambridge, and probably a great guy! His recent perspectives article in Science highlights a growing concern among environmental conservationists. While honey bees are fascinating and powerful machines of agriculture, high densities of managed hives also present an environmental quandary. A growing body of research suggests that domesticated honey bees, with up to 60,000 bees in a hive, may be harmful to their wild, native neighbors. Honey bee hives require huge amounts of nectar and pollen to stay healthy and produce honey, potentially placing them in direct competition with native pollinations for food. Additionally, honey bee hives can become incubators for parasites and pathogens that can be directly transmitted to other bee and insect species, impacting their health and fertility. While the jury’s still out, the accumulating evidence suggests that introducing honey bee hives can measurably reduce local populations of native bee species, which can have negative impacts on the local environment. Native pollinators, which include thousands of distinct bee species as well as butterflies, moths, bats, flies, ants, and birds, are also capable of performing a significant portion of the pollination needs of both agricultural and non-agricultural plants. In many cases, native plant species have uniquely adapted to be efficiently pollinated by their native pollinators. A beautiful example of this is the flowering azaleas, which bloom in the early spring. 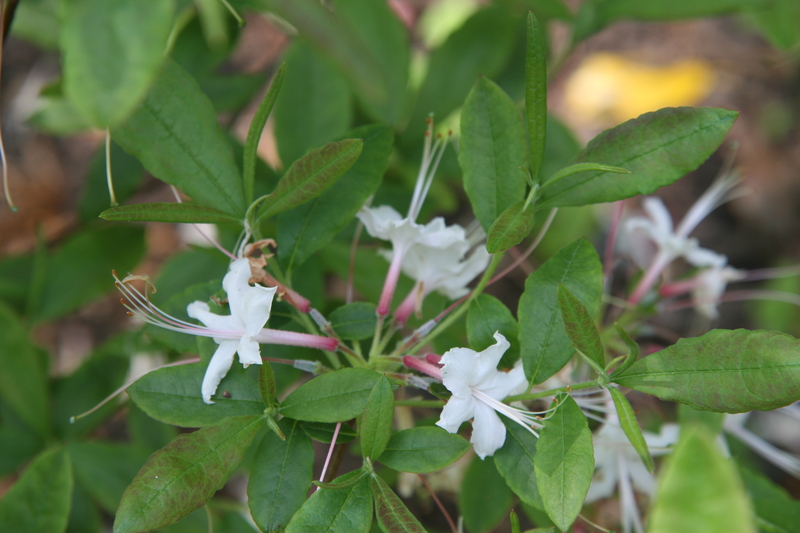 Unlike many flowering plants, azalea pollen is hidden deep inside their flowers – where only native bees know to look.­­­­­ North Carolina is home to several native species of deciduous azaleas, none of which can be pollinated by domesticated honey bees. Similarly, crop plants such as squash, alfalfa, and blueberries all have native bee species that are significantly more efficient at fulfilling their pollination needs than their domesticated relatives. Unfortunately, many native pollinators are experiencing serious population declines similar to the honey bee. For evidence, we only have to look back at the agriculture industry. In the past, native pollinators were the sole source of pollination for many of the food crops that are now completely reliant on managed honey bee hives. While the honey bee has done a fantastic job of keeping these foods from vanishing off our shelves, it won’t be able to maintain the diversity of our nations flora alone. It is imperative that we keep our native pollinators in mind when discussing conservation efforts and adopt policies that promote the health and wellbeing of both native and domesticated bee species. Fear not, for all is far from lost! Helping out is simple! Native and domesticated species of bee both struggle with some of the same issues: a lack of resources (nectar and pollen) and exposure to pesticides. When buying plants for your own garden, look for native species that produce plenty of nectar and pollen (also known as bee-food!) and ensure that they are pesticide free. If you’re feeling overwhelmed, contact your local beekeepers association or honey bee researcher – they will often have resources available such as this one from the North Carolina Cooperative Extension. While tending your garden, try to avoid using pesticides and only use natural, bee-friendly ones if you must – many local garden supply stores will carry such products. There are also ways to help if you aren’t an avid gardener! In an ideal world, we’d all buy locally-sourced, pesticide-free produce (which you can do! Talk to growers at your local farmers market about their practices), but that process can be a bit daunting. While imperfect, USDA certified organic foods are grown using naturally-sourced pesticides (like raw copper or sulphur), which likely aren’t as toxic to local pollinators. By sticking to these practices, anyone can promote the health of native pollinators and honey bees, alike.